Another Great Home Sold by Sarah Smith of Premiere Team Real Estate - Represented Seller - This 1 bed/1 bath condo offers the perfect mix of glitz and glam, while combined with beautiful outdoor scenery. Construction was completed in October 2018 so everything is practically new, w/plenty of upgrades! Naturally stunning quartz counter tops steal the show in the kitchen, complimented by modern stainless steel appliances and crystal pendant lights. Storage space was added w/built-in shelving in the living room, master closet, and extra deep shelves in the hall closet. Stay cozy by the lovely gas log fireplace in the living room, or enjoy your morning coffee on the covered balcony w/views of Dry Creek. 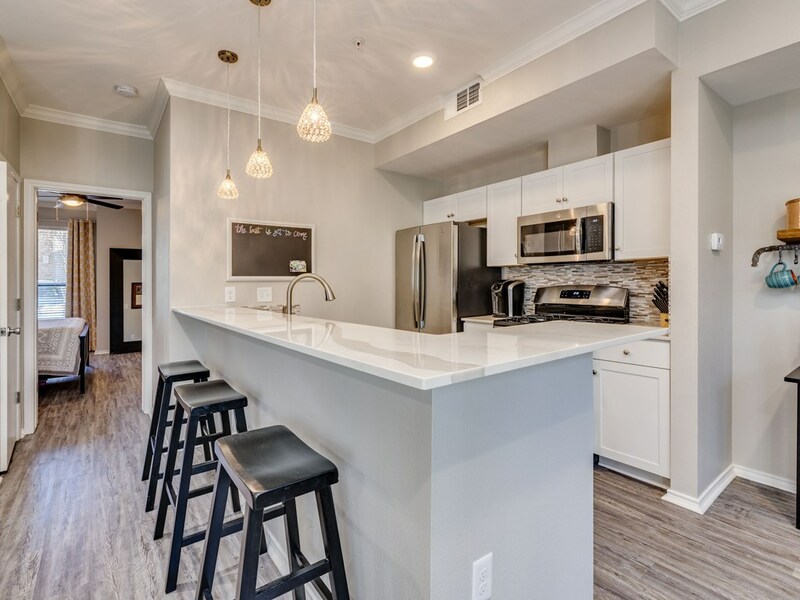 Another great condo for sale in Austin, Texas.